Fear | Afterthoughts & Other Things . . . I fear man. That is all there is to it. I fear man. It has been a theme in my life for – well, all my life. I could go back to various events and relationships in my past and try to hang the blame there. But that doesn’t really change anything. It might find the original source of my fear but the blame for still struggling with this stays with me. I am the one that has allowed that fear to continue to be present in my life. AND I HATE IT. So I’ll be sharing some excerpts from time to time that really resonate with me. If they do so for you as well, say so. Why impacts you? Leave your comments so we can grow together. 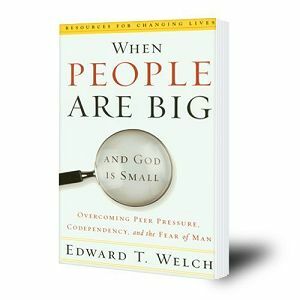 One observation that I came away with after reading this chapter was that when we fear other people, the truth of God becomes irrelevant in our life. God’s Word loses it’s impact. We step away from what is true and into self-deceit, which eventually will end in sorrow for us.